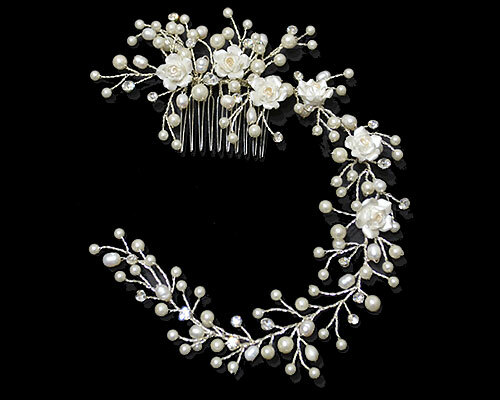 These stunning handmade classic headpieces are individually designed, silver plated and adorned with delicate pearls and Swarovski crystals, giving a timeless elegance. 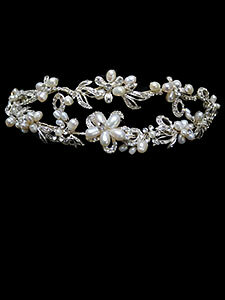 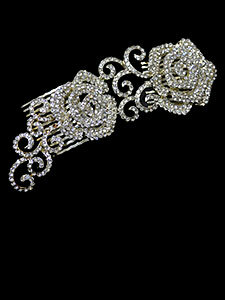 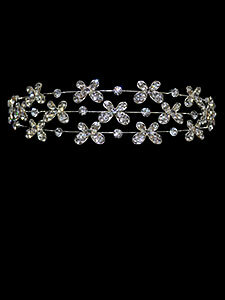 A very effective silver plated head band design in various sizes of small crystal petal flowers. 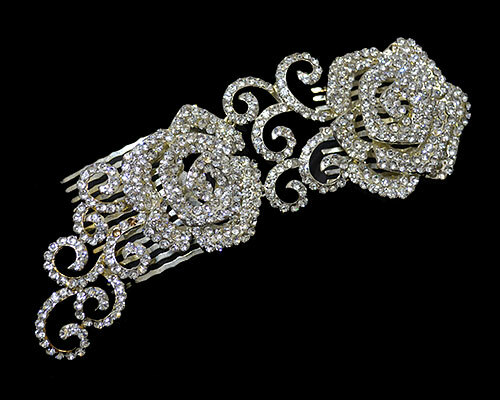 A stunning side head piece design with small satin roses, complemented with crystals and pearls on a silver plated attachment. 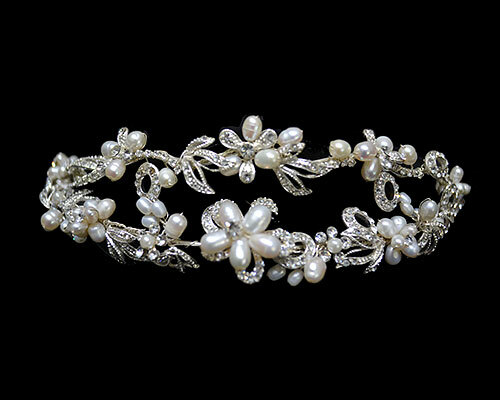 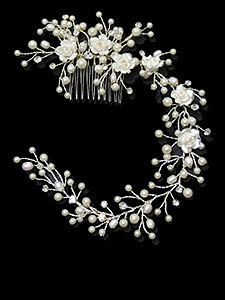 A beautiful tiara with creamy pearls and Swarovski crystals on a silver plated hair band. 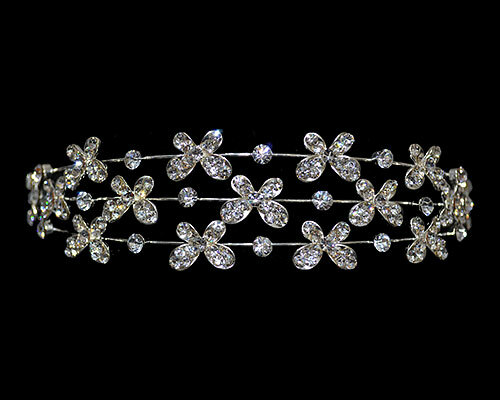 This stunning piece in full Swarovski crystals with comb attachment is simple yet effective.